Burma has come through years of struggle and internal conflict. Recently this has all been changing and Burma now know by it's new name Myanmar has started to open up, since the organisation Tourism Concern has given Myanmar the all clear and the relaxing of powers by the military to a civilian government it has begun to open up as a tourist destination. Myanmar is a stunning country a mix of cultures and varying landscapes, a mix of cultures and hill tribes, stunning archaeology and local markets. There really is a great deal to offer on a trip to Burma (Myanmar). The capital Yangoon, the coast at Ngapali is a stunning stretch of coast and a very quiet beach to enjoy. Further north there is the wonderful Inle Lake home to the ethnic Intha people. The temples in Bagan are awe inspiring , as well as the colonial town of Mandalay the last royal capital; these are just a few of the highlights; in fact in the far north of the country you reach the borders with India and China and the foothills of Burmese Himalayas! Myanmar was previously known as Burma and has a rich history with the civilisation thriving from about 300 BCE. Towards the 100 BCE Pyu settlements began in northern Burma eventually creating their own states. Settlements grew with the Bamar people from Southern China and Tibet arriving in the 9th Century and the city of Paga was soon founded. The Burmese empire was founded in the 11th Century. From this period Burma began it’s golden age the decline came about with the invasion by the Mongols. After their withdrawal the Burmese empire began to break up and decline. The Europeans reached Burma in the 15th century and trading was established by the 17th century. Bamar flourished in the 16th century till the 18th century when the Mon people of the south captured Bamar before a counterattack began eventually led to all of Burma being under control of Bodawapaya of Bamar. The Burmese soon came into conflict with the British in India and the British conquered Burma slowly adding it to their colony of India after three wars with the Burmese. There was a lot of resentment as you would expect towards the British, but in 1937 the British made Burma a separate colony of India. The British were driven back to their Indian Borders by the Japanese ceding Mandalay in 1942. The Japanese were stopped in their path when they failed to invade India. The British fought back and retook Mandalay and then Rangoon (Yangon) by the end of the war. Soon after on the 4th January 1948 Burma became independent, economic crisis followed and the military soon took power pushing for socialist reforms which took the country into poverty. More recently the Military government has started to open up with the hope that Burma will make a peaceful transition to democratic reforms and much needed economic development. With over a hundred different ethnic groups Myanmar is an extremely diverse country. 65% are ethnic Burmese while the remaining 35% are tribal and other ethnic groups such as the Shan, the Karen, the Rakhine, the Chin, Kachin, and the Mon. In addition, there are pockets of Chinese and Indian (Assamese) immigrants, many of whom have lived in Myanmar for generations, altogether. Much of the country’s population is rural and is occupied in agricultural activities; many ethnic groups are still largely untouched by Western civilisations and have rich cultural traditions because of the remoteness of the areas they inhabit. There are festivals in each month all over Myanmar specific to a particular destination, when organising a tour we can point out which festivals will likely be held during your trip. Here are a few of the popular ones! The Burmese New Year is celebrated in April and everybody joins in the fun of dousing each other with water. Youths go out for the enjoyment, while elder people take retreat in monasteries and pagodas to perform meritorious deeds. One cannot avoid of getting very wet because everyone throws water at everybody. People drive through the city in open cars and there are stages along the street where people throw water. During this time, everything most restaurants, shops, markets and Museums are closed. The Thadingyut Festival of Lights celebrated throughout Myanmar late October. This festival marks the end of the Buddhist Lent, and is also one of the most prominent festivals of the year. Pagodas, houses, public buildings, parks, and monuments are all illuminated and there are various kinds of activities for everyone to enjoy. Thadingyut is not only for joyous but also thanksgiving and paying homage to Buddhist monks, teachers, parents and elders, and asking pardon for whatever misdeeds might have committed. Another festival of light held on the full moon day throughout the country. Home and streets are illuminated and Buddhists are given robes and various requisites at Ka-htain (Ceremony of offering robes to monks). A total of 9,999 candles are ceremoniously lit at mid night. Visitors are served with mixed salad of maezali buds, believed to possess powerful, magical and medicinal properties if eaten at this time. A robe weaving contest is also held throughout the night a competition of weaving skills between teams of women at dawn the robes are offered to the great image of Lord Buddha and followed by the prize giving ceremony for the winners. 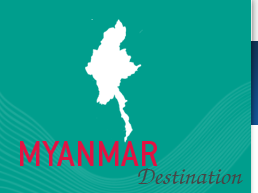 Visas are required to be obtained before you arrive in Myanmar at your nearest embassy. Visa regulations do change. There are Visas available on arrival if arriving from Cambodia you will need one passport photo. Healthcare is poor in Myanmar and for anything urgent it is recommended you make your way to Thailand where you can obtain a western standard of medical attention. • Please consult your doctor about the inoculations and anti-malaria precautions required for Cambodia. In general cover against polio, rabies, cholera, typhoid, tetanus, malaria, hepatitis A and meningitis is recommended. The local currency in Burma is known as the kyat but U.S. dollars are widely accepted. The exchange rate fluctuates from 500-800K/1 USD with the “Black Market” rate from shops, restaurants and hotels being much better than the official rate. Visa and Mastercard are accepted at high end hotels, restaurants and shops but the system can often be down due to bad internet connections. Traveller checks which are not normally accepted and difficult to exchange it is advised to be prepared with $USD on your travels in Myanmar. Electricity in Myanmar is 220 / 230 volts; this means for those arriving from the UK you will not need a Voltage adapter. Although the electricity can be erratic, you will probably need an adapter. Tipping is generally not expected in Myanmar. In some upper class restaurants or accommodations they will directly charge you with a 10% service charge, you should clearly see that on the bill. Feel free to leave a tip for good service of between 5-10 %, it is of course up to you and dependant on the service received. Keep a couple of spare passport photos with you.